Sports Burst - Is Bale Out Of The Real Madrid Woods? 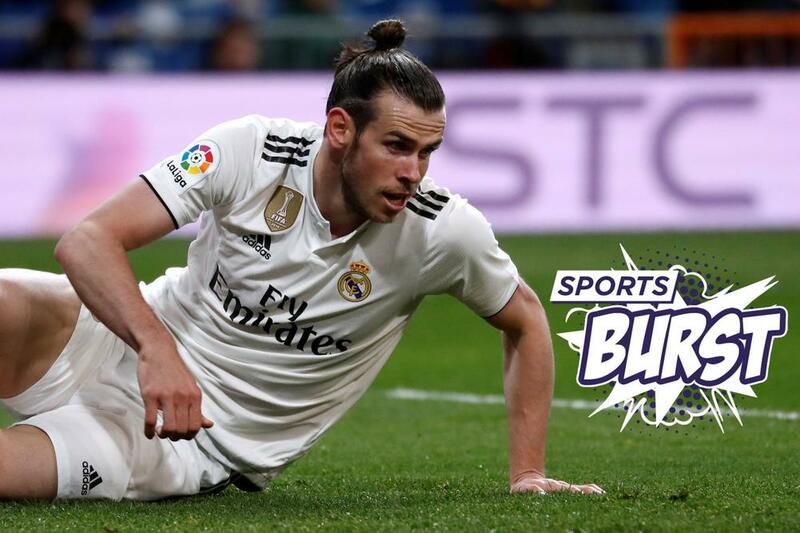 Sports Burst - Is Bale Out Of The Woods? A glorious and storied past. Moments of magic that fans will remember for centuries. But also moments of darkness...endless injuries...fans doubting that the days of win after win after win could ever return. Until now. Yep, Gareth Bale is probably all in hype mode on Monday and looking at the Leganes stadium as his own, personal Augusta. The golf-mad Welshman would have been glued to his TV screen more than ever this weekend watching a sporting miracle as Tiger Woods came back from apparent physical and mental oblivion to win the Masters, his first major since 2008. Real Madrid is in action in a rare Monday outing and an inspired Gareth Bale will be looking to be moved into Zidane's 'he's not going anyway' list currently occupied by Isco, Karim Benzema and Marcelo from his current domain of 'who knows, whatever (shrug)?' domain. "There are seven games left. Let's see how we play," said Coach Zizou whose main goal now is to keep up the pressure on Atletico Madrid in second place, five points ahead of Madrid. There is a fairway to go for Bale until the end of the season to prove that a rough spell and a few bunker shots can be put behind him to stop the forward being kicked out of this particular club. Leganes against Real Madrid gets underway live on beIN SPORTS at 2:50PM ET / 11:50AM. Meanwhile the Sports Burst live show with our Gabrielle Amado and Ray Hudson will look ahead at whether Bale can drive straight once again. Just head to our Facebook page at 12PM ET / 9AM PT. Although Tiger Woods was an honorable exception, choking under pressure was one of the big themes of the sporting weekend. PSG failed for a second match day in a row to clinch the Ligue 1 title. However, there was an upgrade in the quality of choke from a player stopping a goal on the line from his own team last week to a 5-1 blowout by Lille. Juventus lost to SPAL and Barca was held by the bottom-of-the-table Huesca. That does not bode well for Arsenal, a team caught in a fierce battle for the top-four places in the Premier League but with a tendency to be softer and gooier than a chocolate in a Florida easter egg hunt. A win for Arsenal at Watford on Monday would lift the Gunners into fourth, however Unai Emery's men have only won a single away match in eight in the EPL. There is a big match in the Serie A as well in terms of the top-four tussle with Atalanta possessing the chance to put pressure on Milan with a home clash against relegation-threatened Empoli. The XTRA will bring you the best of the day's action and biggest stories at 7PM ET / 4PM PT. At least three of those teams mentioned just now would have had their transfer tracker radars on full alert after the Lille owner, Gerard Lopez, admitted on Sunday that the club's star player, Nicolas Pepe, was up for sale this summer. PSG will be the main front-runner to sign the Ivorian which kicks off a mental rumor in Sports Burst's head that he will be the replacement for Neymar who will move to Real Madrid who will in turn send Gareth Bale into the water trap of destiny. Monday is set to see managers-a-talking just a day before the return legs in the Champions League quarterfinals. Both Juventus are Barcelona are in the driving seats in their respective ties against Ajax and Manchester United although both Max Allegri and Ernesto Valverde will be promising that there is all to play for, etc, etc. The Locker Room will look back at the highlights of the weekend and look ahead to the Champions League ties at 7:30PM ET / 4:30PM PT followed by the best of the games with Monday Night Soccer.